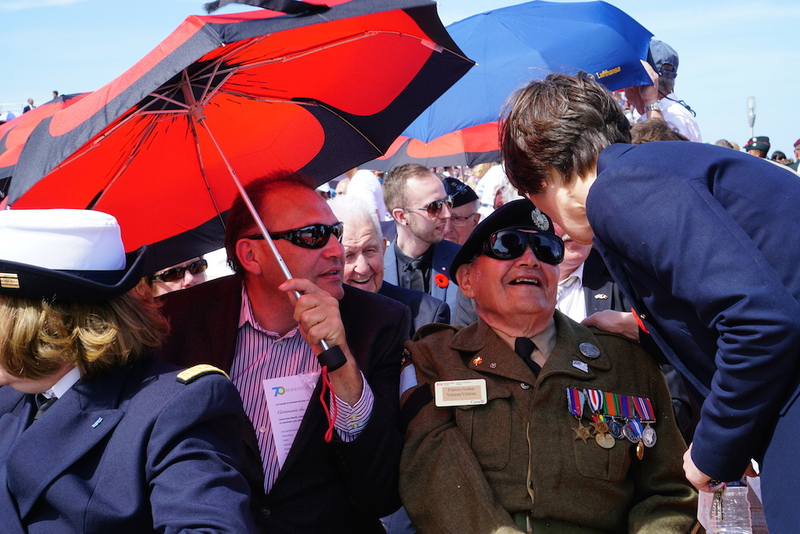 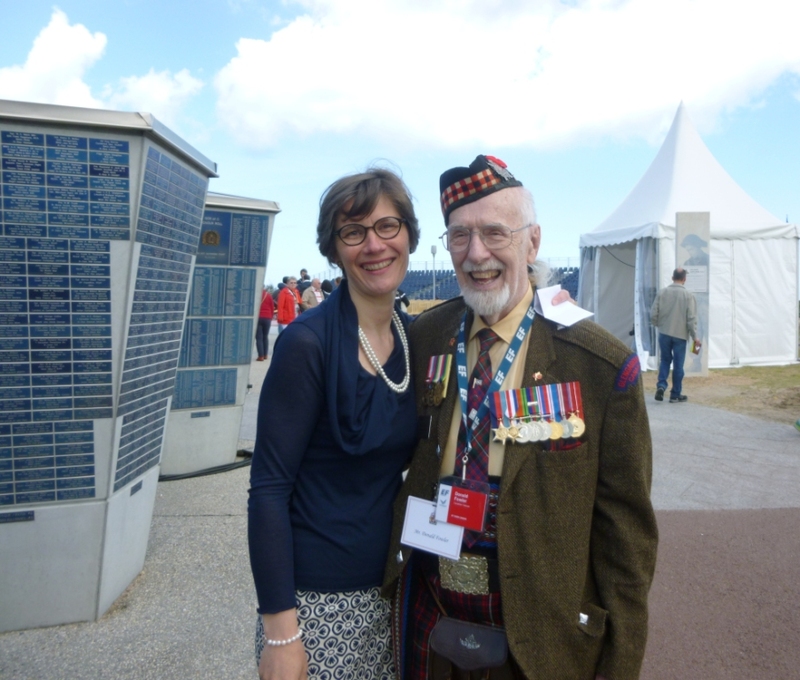 On June 6, amongst the many Canadians who attended the ceremony, were two Métis veterans: Francis Godon, from Manitoba, who landed on Juno beach with the Royal Winnipeg Rifles B Company – accompanied by his son Frank. 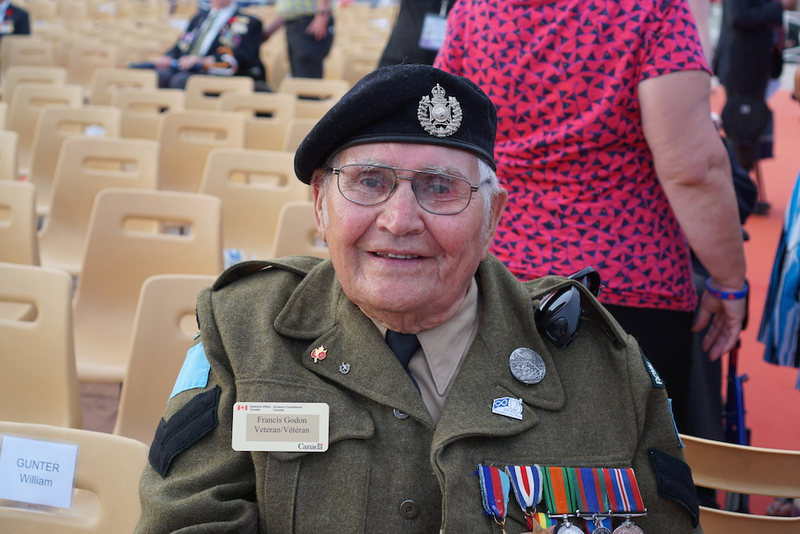 Donald Fowler, who traveled with EF Tours. 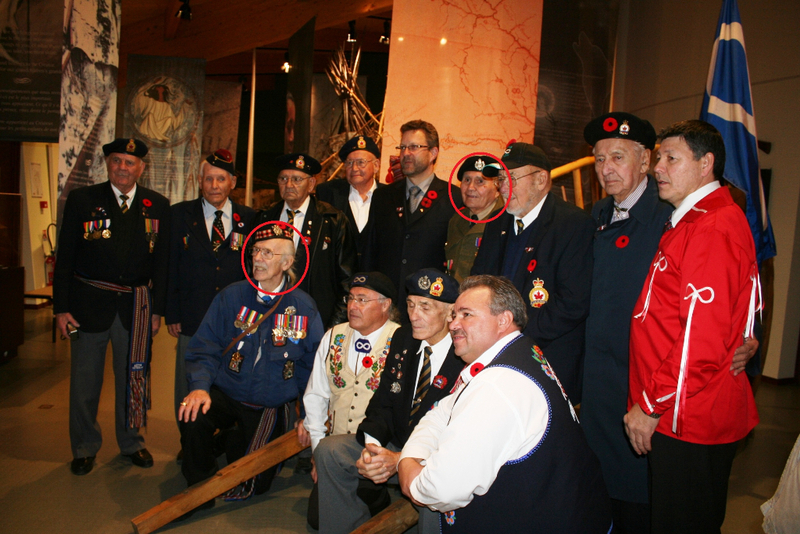 Both had already attended the ceremony at the Juno Beach Centre on November 11, 2009 with a Métis delegation who offered a Red River cart to the Juno Beach Centre. 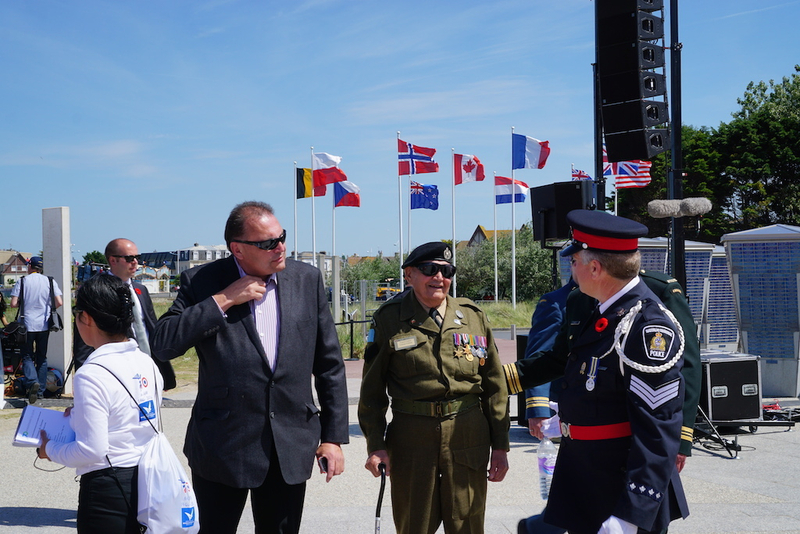 To honor these men, a few day before June 6, a new display case was added to the museum presentations, containing artefacts symbolizing the participation of First Nations and Metis soldiers in the Canadian campaign in Europe during the Second World War. 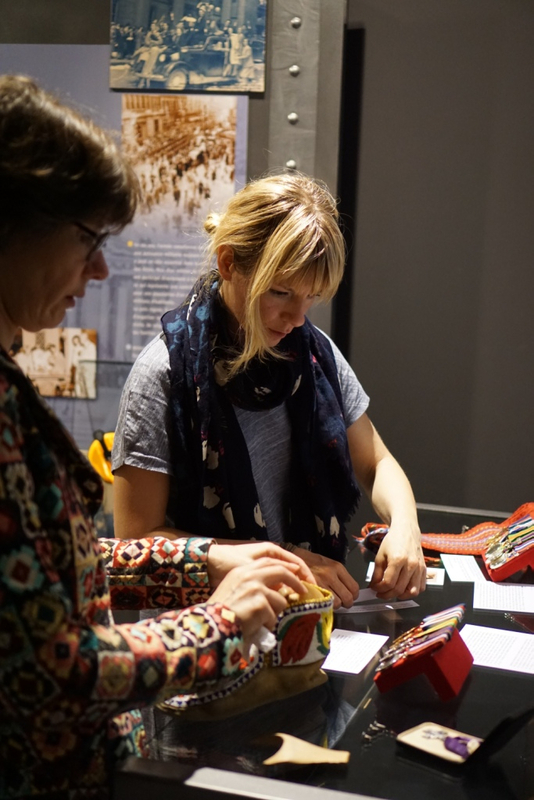 This display case contains the medals of two soldier of Ojibway and Métis origins, who died in 1944, as well as symbols of their culture, alongside a Lee Enfield gun used by sharpshooters.